To backup Exchange Server 2013 mailbox database, there is a sufficiently large number of specialized software products, each of which has its strengths and weaknesses. However, most of them are paid, and their price is likely to cause substantial blow to the humble IT budget small companies. 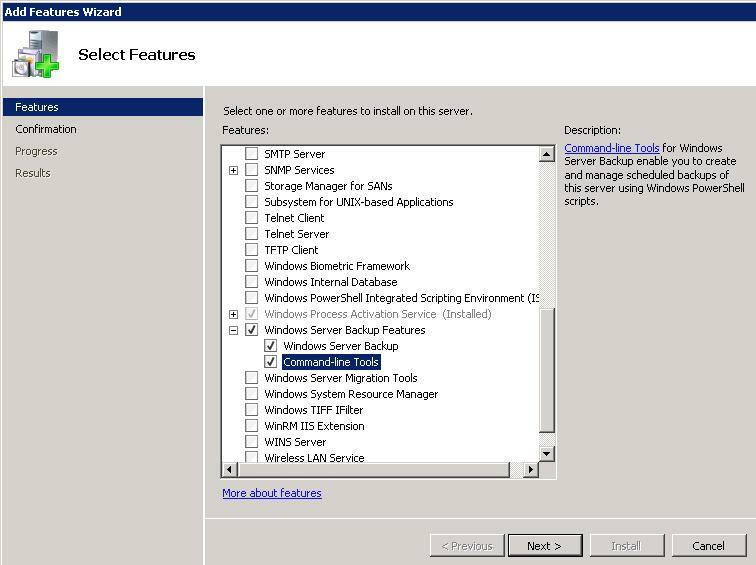 Fortunately, you can use the functionality Windows Server Backup (WSB) Features, which is a built-in backup module in Windows Server 2008/2008 R2. Of course, its functionality supports only a limited quantity of functions and is not so convenient in terms of control but at least in case of some emergency allows not remain without an actual backup of users’ mailboxes. So, we have the following configuration: a network with Exchange Server 2013 mail server (on Windows Server 2008 R2) with one mailbox database. Our task is to configure Exchange 2013 mailbox store backup by using standard Windows tools. Backup is performed with a help of Volume Shadow Copy Service at a volume level completely. It is possible to create only full database backup. Incremental and differential backups are not supported. Only active DAG database backup is possible. 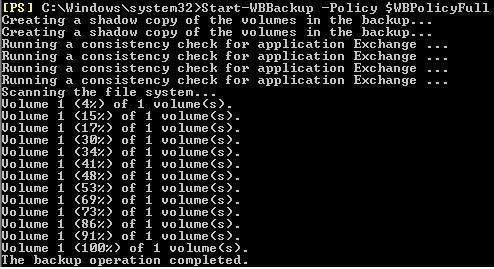 Import-Module ServerManagerAdd-WindowsFeature "Backup-Features" | Add-WindowsFeature "Backup-Tools"
Database backup Exchange 2013 can be configured from the GUI Server Backup or using Powershell. Consider 2 way. $WBTargetFolder = New-WBbackupTarget –NetworkPath "\\ny-srvbkp\exchange2013"
In this case we can see that mailbox database backup was never performed before. After backup completion WSB will update mail database header and write information about the time of the last successful backup in it. In the next article in this series we show how to recover Exchange 2013 database from backup.